The Substation Construction & Maintenance Superintendent manages the teams that construct and maintain the entire substation system for Austin Energy. This position is responsible for the full range of supervisory duties including work assignments and monitoring, staff development, performance reviews and disciplinary actions. The ideal candidate is a motivated and organized team player with proven experience as a successful leader. The City of Austin employment application is an official document; incomplete applications will not be considered. Please be sure to detail on the application all current and previous employment that you wish to be considered as part of your qualifications. The Employment Record should be complete with job titles, employment dates, job duties, functions, and responsibilities for each position held. Gaps in employment must include an explanation and dates of unemployment. Starting salary will be based on overall relevant experience from your application. Résumés will not be accepted and statements such as “see résumé” will not be accepted. Responses to Supplemental Questions should reference your work history listed in the Employment Record section. You may use “N/A” for fields that are not applicable. 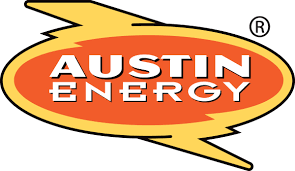 Please note that Austin Energy may close the job posting at any time after 7 days from the date of the initial advertisement. Once the job posting has closed, applications cannot be changed. Your skill level in some of the competency areas for this job will be assessed through computer-based skills testing. Verification of your education (which may include high school graduation or GED, undergraduate and/or graduate degrees) will be required. You must provide proof of education from an accredited organization/institution. If you are identified as a top candidate and are in the military or a veteran, you will need to provide a copy of your DD-214 prior to confirming a start date. If you are selected for this position, and meet the City of Austin Driving Standards in the City of Austin Driver Safety Program, you may drive when necessary to multiple locations as part of your regular job duties. Otherwise, you are responsible for getting to and from these locations. This position is categorized as Essential Personnel with the City of Austin. Essential staff are required to work during emergencies or bad weather if they are scheduled to work and, in some cases, when they are not scheduled. Essential employees ensure the continuance of key operations in order to maintain the safe delivery of electric service for the City of Austin. Shifts may change according to departmental needs. This position is considered FLSA Exempt. Exempt employees are salaried and, except as provided, are not eligible for overtime compensation. This position is considered “essential” which may require you to work outside of normal business hours to support 24-hour utility operations.